This is such a fun cookie cutter - it makes a wonderful big 5 inch cookie! 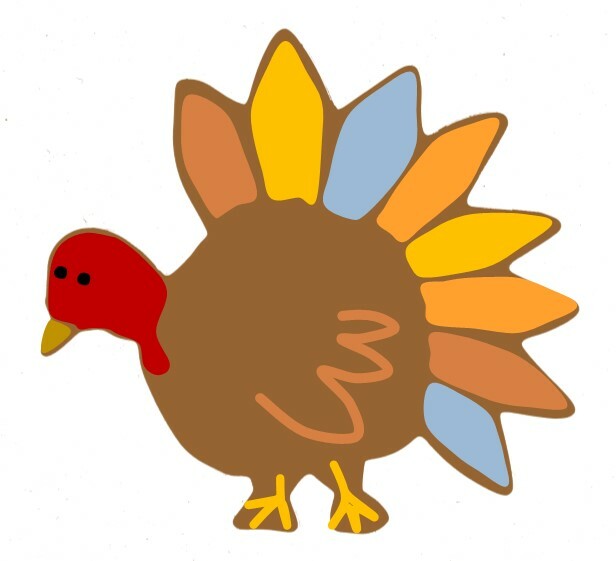 Jill brought me the cutter from Crate & Barrel last Thanksgiving and I was anxious to make it this year but I didn't quite know how to decorate it. I think turkeys are hard to decorate so I've avoided them in the past. I wanted to do a good job with this one. I baked the cookies and Jill was coming for the weekend to decorate them with me. 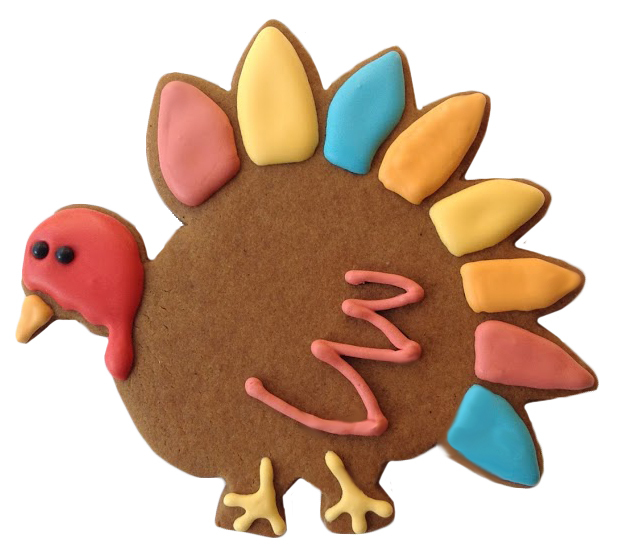 We were short on time so I decided to have a plan to follow and I scanned the cookie cutter in Photoshop, colored it ginger and decorated it on my computer. Jill mixed the colors from my printout perfectly and we went to work. We haven't decorated cookies together for a long time. It was so fun and a happy collaboration I think! 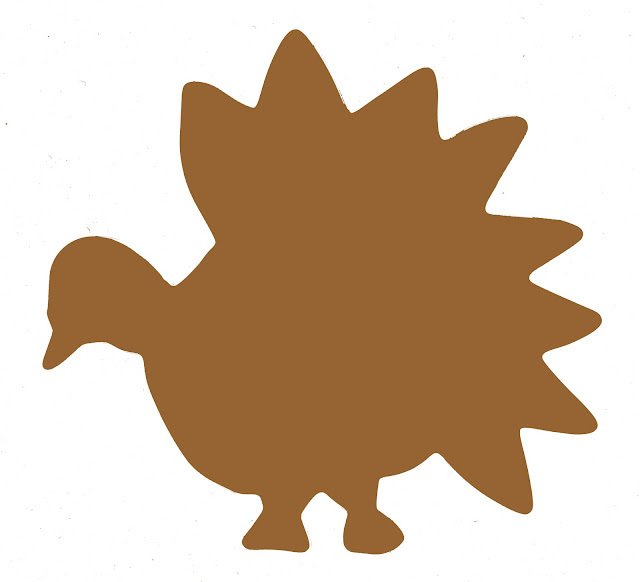 I love this turkey! Great job, Momsu & Jill! I'm sorry you weren't here to play with us! We will bring you some cookies.